SNFS offers a neutral platform for the dissemination of controversies in nutrition and food sciences. The Society of Nutrition and Food Science e.V. 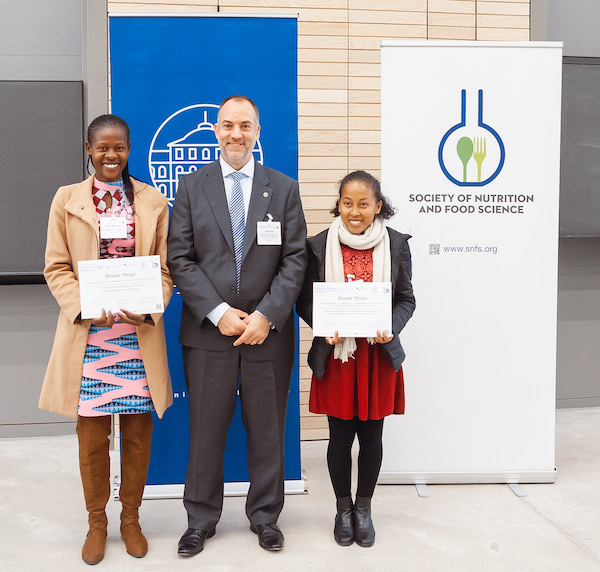 (SNFS) is a not-for-profit organisation dedicated to bringing together nutrition and food scientists and to further scientific progress and education in the field of nutrition and food science. 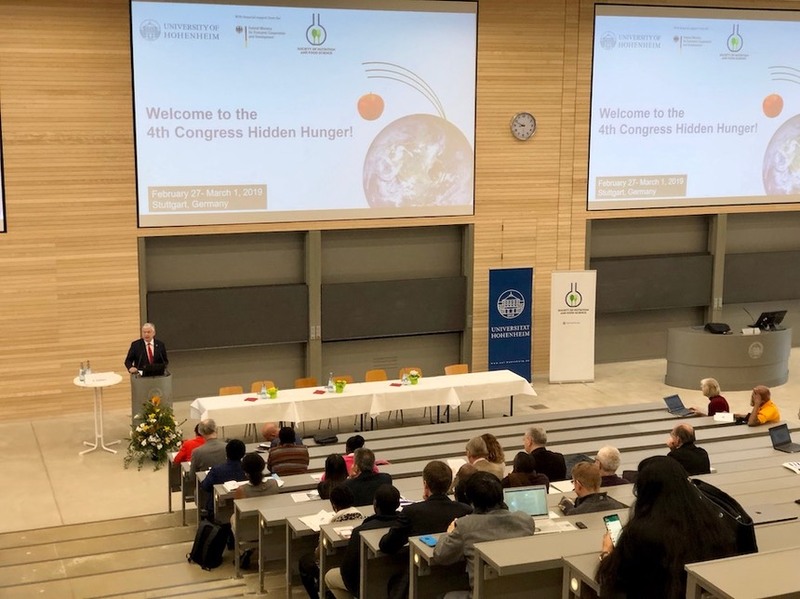 From February 27 to March 1, 2019, the 4th Congress Hidden Hunger took place at the University of Hohenheim in Stuttgart, Germany. The topic of hidden hunger with reference to the worldwide problem of overweight as well as the global nutritional situation were discussed from the perspectives of governmental and non-governmental organizations, politicians, economists, nutritionists and agricultural scientists. Various disciplines and scientists from high- and low-income countries from allover the world were brought together to focus on the links and gaps between science and reality in all parts of the world. The biennial global meeting of members belonging to the scientific community, representatives from politics, government and the media as well as members of civil society organizations, advocacy groups and private and public sector bodies, was organized by the University of Hohenheim together with the Society of Nutrition and Food Science (SNFS). Three young researchers were awarded the SNFS Best Poster Prize. Two of the awardees received their award certificate from SNFS President Prof. Frank during the congress (see photo below). SNFS enjoyed being able to offer its members a complete registration fee waiver for the participation in the congress (see here for further membership benefits). 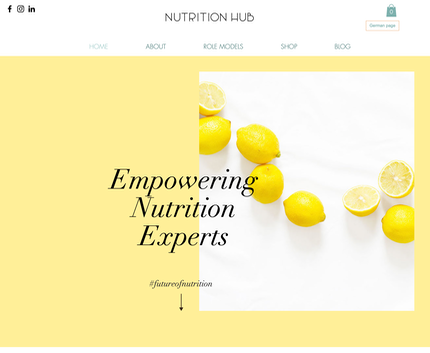 NUTRITION HUB is an online community of nutritionists that shares many of the goals of SNFS. NUTRITION HUB whishes to encourage highly skilled nutrition experts to take action and become key decision makers in health-related media, business, politics, science and medicine. Check out the NUTRITION HUB website and their Facebook page for related news and job offers for nutritionists. Volker Mrasek, freelance science journalist, spoke with Prof. Stefan Lorkowsi and SNFS president Prof. Jan Frank about the validity of the data presented in the PURE study for and interview that was aired on Deutschlandfunk. Please also see the related scientific comment of SNFS. The interview (in German) can be found here as text and audio stream. Can a child eat a healthy and balanced diet for 2.77 € per day? In Germany, parents on welfare receive 2.77 € per day for the alimentation of their children under the age of 6 years. Scientists from the Society of Nutrition and Food Science warn that this may not be enough to provide growing children at this vulnerable age with a balanced and healthy diet. Micronutrient malnutrition - or hidden hunger - during childhood is more frequent in families with low socio-economic status and is a cause of impaired physical and brain development, which may last into adulthood. Hence, poverty may lead to malnutrition and impaired cognitive development, which in turn may predetermine for a low socio-economic status. This vicious cycle may be hard to break for children from less privileged families. Young children, particularly at the early stages of their development, require a diet rich in micronutrient-dense foods, such as vegetables, fruits, whole-grain cereals, dairy products, and more, to maintain optimum health and develop their full mental and physical capacities. More research is needed to determine how much money per day is necessary to provide children in Germany with a balanced and healthy diet that will allow them to succeed in life. But the SNFS experts estimate that 2.77 € will not be enough and urge the German government to initiate the required research and re-evaluate and raise the current numbers. Read the full statement (in German) here. 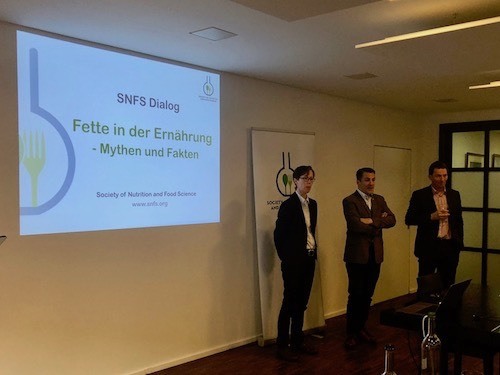 SNFS Dialog „Fette in der Ernährung – Mythen und Fakten"
„Fette in der Ernährung – Mythen und Fakten“ statt. „Fette in der Ernährung“ sind seit Jahrzehnten immer wieder im Fokus der Berichterstattung und der öffentlichen Diskussion. Sind gesättigte Fette gesund oder ungesund? Wie sind neueste Erkenntnisse zur optimalen Fettzufuhr, zum Beispiel der PURE-Studie, zu bewerten? Warum enthalten immer mehr Lebensmittel Palmfett? All diese Fragen wurden von den Experten Privatdozentin Dr. Sarah Egert, Leiterin des Bereichs Wissenschaft der DGE, Prof. Dr. Stefan Lorkowski, Inhaber des Lehrstuhls Biochemie und Physiologie der Ernährung an der Universität Jena und Prof. Dr. Eckart Flöter, Professor für Lebensmittelverfahrenstechnik an der TU Berlin, die der Einladung der SNFS nach Bonn gefolgt waren, in ihren Präsentationen beleuchtet. Unter der Moderation von Prof. Dr. Jan Frank, Vorsitzender der SNFS und Professor für Biofunktionalität der Lebensmittel an der Universität Hohenheim, wurde das Thema Fette anschließend intensiv mit den vielen Ernährungs- und Lebensmittelwissenschaftlern, Fachjournalisten und Vertretern von Fachgesellschaften und Verbänden im Publikum diskutiert. "Nicht die Menge, sondern die Qualität der Nahrungsfette ist entscheidend für die Gesundheit des Menschen“, so das Fazit der Ernährungs- und Lebensmittelexperten am Ende der Veranstaltung. Und auch Palmfett erfüllt wichtige technologische Funktionen in vielen Lebensmitteln und lässt sich daher nicht ohne weiteres ersetzen. Erste Informationen zur Veranstaltung finden Sie in einer gemeinsamen Pressemitteilung der SNFS und der Universität Hohenheim. 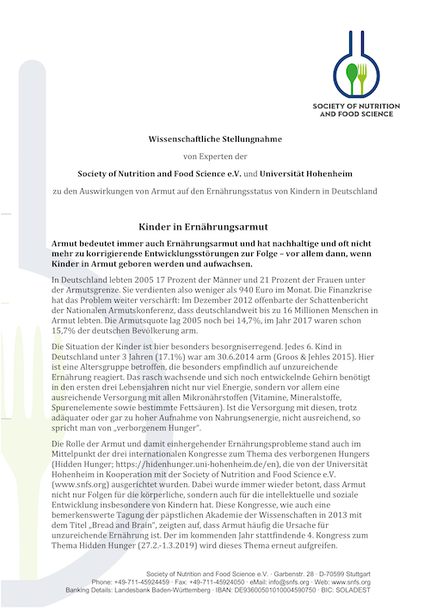 Diese Veranstaltung ist Teil der Veranstaltungsreihe SNFS Dialog der Society of Nutrition and Food Science e.V., kurz SNFS. Die SNFS ist ein gemeinnütziger Verein, der allen Personen, die ein Interesse an den Ernährungs- und Lebensmittelwissenschaften haben, eine gemeinsame Plattform bieten und die Forschung und Ausbildung in diesem Bereich voranbringen möchte. Die SNFS veröffentlicht wertfreie Stellungnahmen zu aktuellen, kontroversen Forschungsergebnissen aus den Ernährungs- und Lebensmittelwissenschaften und ist Veranstalter von internationalen Kongressen, Dialogveranstaltungen, Workshops, Seminaren und Symposien sowie Herausgeber einer wissenschaftlichen Fachzeitschrift, NFS Journal. A recent epidemiological study by Dehghan and colleagues, published in Lancet, investigated the impact of macronutrient intake (as a percentage of the daily energy consumption) on the risk for total mortality and major cardioascular events in more than 135,000 subjects from 18 countries. The authors observed that total mortality risk increased with increasing consumption of total carbohydrates and decreased with increasing total fat consumption. Increasing the intake of saturated fat, so the authors, was not harmful and even reduced the risk for stroke. Based on these associations, the authors propose that global nutrition guidelines need to be revised. However, methodological limitations of the study preclude such far-reaching conclusions, say the nutrition experts at the Society of Nutrition and Food Science. Please read the scientific comment, which is currently only available in German. 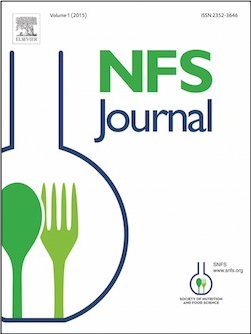 NFS Journal (Elsevier) publishes cutting edge research in the fields of basic and applied nutrition and food science and is in the hands of the Editor-in-chief Prof. Jan Frank and Deputy Editor-in-chief Prof. Walter Vetter. Please visit the journal homepage for the full Aims and Scope and the Editorial Board, which consists of more than 30 experts from 18 countries and all continents. The open-access journal features a new article format Registered Reports, which aims to eliminate publication bias against negative results. The journal invites submission of high-quality original research articles and methods papers presenting cutting-edge scientific advances as well as review articles on current topics in all areas of nutrition and food science. The journal particularly invites submission of articles that deal with research at the interface of nutrition and food science and thus connects both disciplines. Submit your work to NFS Journal to receive global visibity of your research.